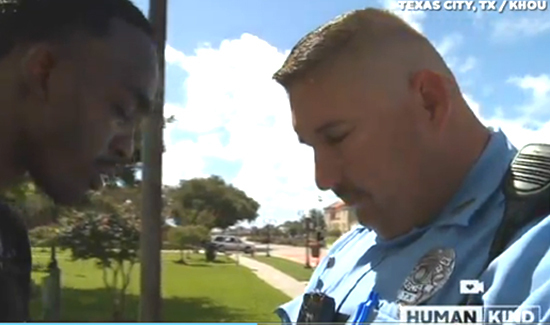 A picture of a Texas cop praying with an ex-con has gone viral. The photo, which shows Edward “Doc” Amey and Texas City Police Officer Salvador Chapa holding hands and bowing their heads in prayer, was a far different experience than the last time the two men were face to face—when Amey was arrested by Officer Chapa. He’s got six felony convictions and lots of misdemeanors. Several years back, Amey turned to God, trading in prison bars for prayer. “The last week-and-a-half, God has really been giving me the urge to pray for police officers,” Amey said.